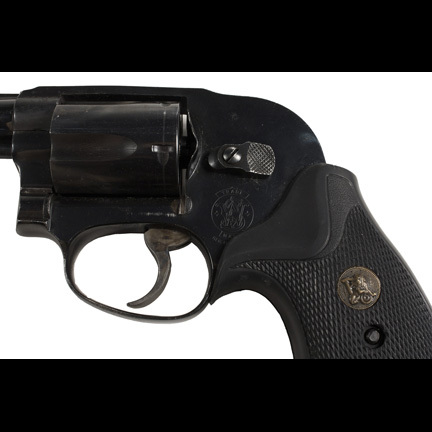 This live firing Smith and Wesson Model 49 “Bodyguard” 38. revolver with serial # AHH9155 was used by the character “Det. 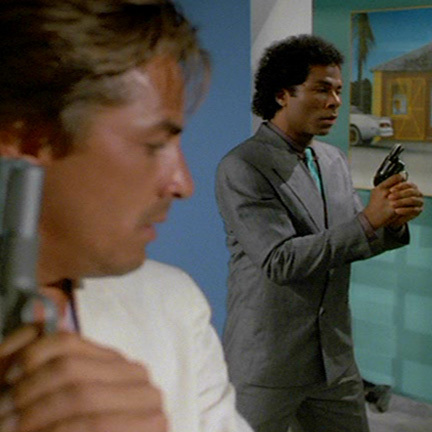 Ricardo Tubbs” portrayed by actor Philip Michael Thomas in the iconic television series “Miami Vice”, also starring Don Johnson. 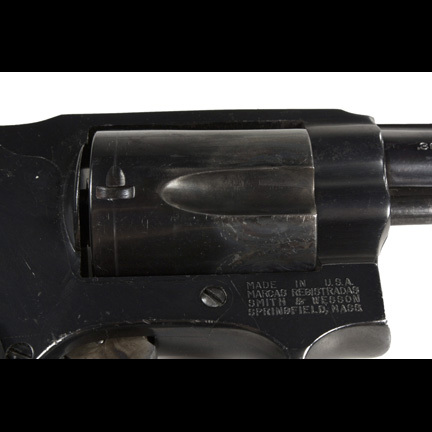 The revolver was fitted with Pachmayr grips and modified to fire blank rounds for its use on the show. The weapon is in good overall condition with some minor scratches and wear which occurred during filming and from its use on subsequent productions. 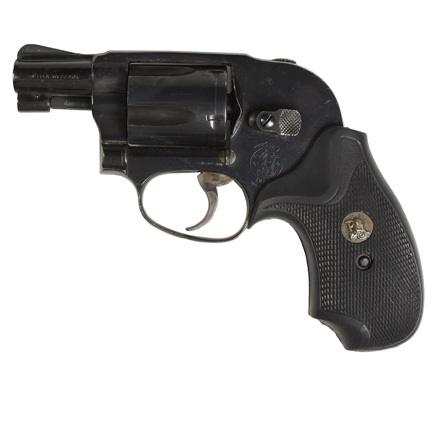 This was Tubb’s primary sidearm used in the first two episodes of Season 2 “The Prodigal Son” which was filmed in NY. Tubbs and his partner “Crockett” (Don Johnson) attempt to trace a drug pipeline from the jungles of Columbia to the streets of New York. The much anticipated series premier featured performances by Pam Grier, Edward James Olmos, and Gene Simmons of “KISS”. 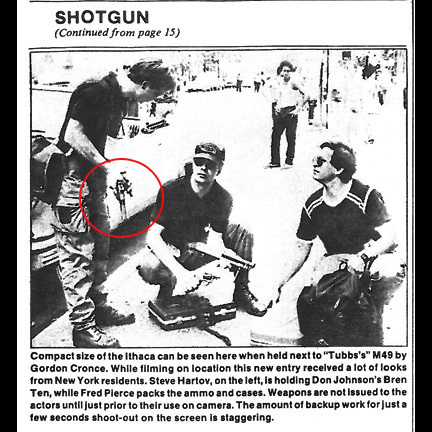 The weapon was featured in the January 1986 issue of “Firepower Magazine” and features one of the armorers holding the gun next to Thomas during filming. “Miami Vice” is considered one of the most influential television series of all time in American Pop Culture history. Michael Mann’s groundbreaking show defined the fashion, music, and style of the 1980’s on a global level. The “Miami Vice” original soundtrack featuring Jan Hammer's #1 hit theme song and Glenn Frey's "You Belong to the City" (a #2 hit), stayed on the top of the U. S. album chart for 11 weeks in 1985, making it the most successful TV soundtrack at the time. By Season 2, Don Johnson had become the highest paid actor in the history of television series. 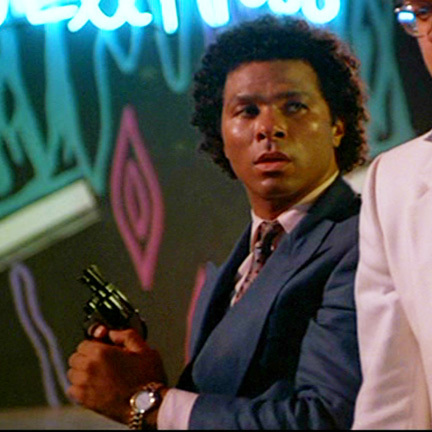 Many of the styles popularized by the series (such as the t-shirt worn under pastel suits, no socks, rolled up sleeves, and Ray Ban sunglasses) have become the standard image of 1980’s culture, and the show’s extensive action sequences involving firearms such as this one helped shape the evolution of subsequent police dramas to present day. “Miami Vice” ran from 1984 – 1990 and received numerous awards and nominations over the course of its impressive six-year run, including a Golden Globe nomination for Best Performance by an Actor in a TV-Series (Drama) to Philip Michael Thomas in 1986 for his work on the series. 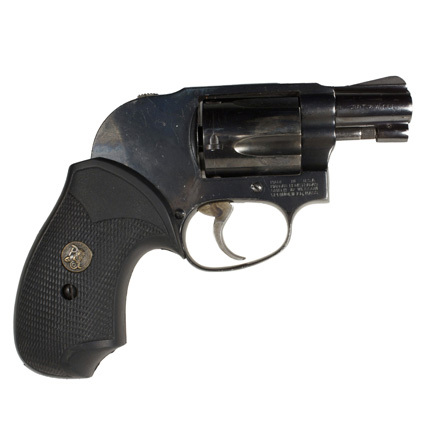 THE WEAPON CANNOT FIRE LIVE AMMUNITION AND HAS BEEN MODIFIED TO FIRE BLANKS ONLY. THE ITEM WILL BE ACCOMPANIED BY CERTIFICATION AND A COPY OF THE RENTAL RECORDS FROM THE ENTERTAINMENT ARMORER WHO PROVIDED THE WEAPONS TO THE PRODUCTION. 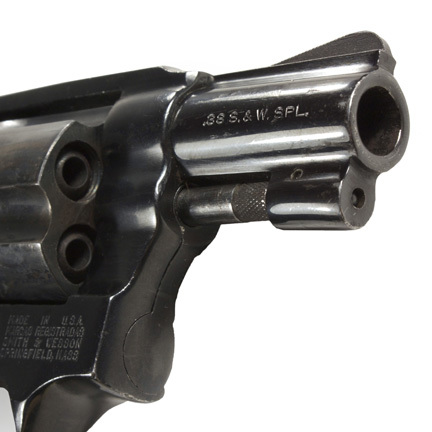 LEGAL COMPLIANCE WITH LOCAL LAWS AND SHIPPING TO A LICENSED FFL DEALER MAY BE REQUIRED TO BROKER PURCHASES IN SOME STATES. 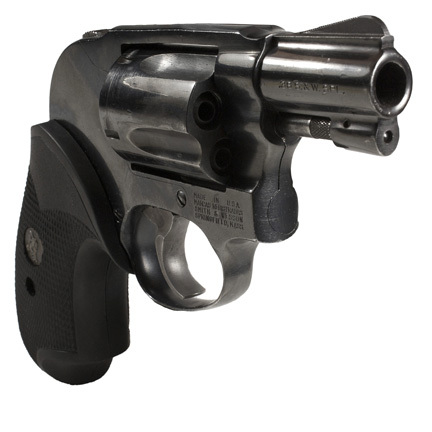 BUYERS SHOULD CONTACT A LOCAL FFL DEALER IN THEIR AREA PRIOR TO PURCHASING TO BE AWARE OF ALL APPLICABLE LEGAL REQUIREMENTS.